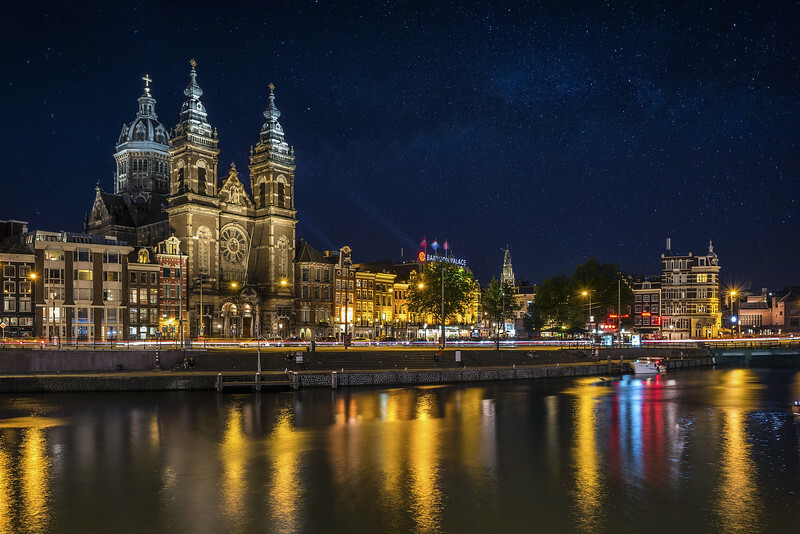 The beauty of Amsterdam at night. Spot lights from neighboring buildings bring Saint Nicholas to life along with glowing reflections across the water. One of my favorite shots of this iconic treasure.